Barton fishing with the boys- someday, he'll be a great dad. When we first learned that we would not be having children biologically, Barton and I were both devastated- we had always pictured having two children, we named them even. We grieved in different ways, with slightly different issues coming up for each of us. When we first approached adoption, we started off by making calls to different agencies, and we learned an independent adoption agency was within walking distance to our house. We attended an information session where we learned the benefits to open adoption, the costs and process associated with adoption. Adoption is not for the faint of heart- it could be a long process and could take many years with many variables. For a long time, independent open adoption was the only path we considered. Yet there were still unanswered questions. Potentially, I could go through sperm donation, but as we explored that path, I quickly realized there were just as many issues that would come up with sperm donation than with adoption. The process can be grueling on a woman’s body, and there are still issues surrounding the rights of a biological father. Yet, it was important that each of us explore the different issues that were coming up at different times, and for us to respect where the other one was at in the process. Most people don’t mention the questions infertility can bring up- does is matter how a baby is created, is the woman’s body considered holy, when & how does a soul come into the body? It’s not only the physical questions that came up, but spiritual, social and relationship questions as well. There was a point several years ago where I wanted to have a baby “right now,” but Barton wasn’t quite sure. He even questioned whether we should have children or not. As hard as it was to hear, but it was an option we needed to explore. Yet, as our relationship shifted and grew, Barton couldn’t deny that smile and spark that arose when being around children, and wanting to raise a child in our family. He mentioned that if we were going to have children, it was important to him to take care of a child who wouldn’t otherwise have a home, and we talked about the deeper and underlying foundation for his need. In our case, I also had to look at how there were friends who weren’t supportive of our having children, similar to the concerns of us when we got married. I learned I would need to find support in different places. Closed adoption, semi-closed adoption, open adoption, international, domestic, independent- how do you decide which path is right for you? We listened to other people’s adoption journeys and researched as much as we could about each path. For example, international adoption would be less feasible because many countries require that you travel to that country, many for week or months at a time, and we wouldn’t be able to do that. Independent adoption appealed to us as well because in most cases, the birth mother chooses the adoptive family, and it was very important for us not only to respect the birthmother, but to make sure that the birth mother has the ability of choice. Yet, it would be difficult for us to screen any high-risk situations. We have heard that flexibility is key, as the path may change mid-course. Agencies have different policies as well. Can you believe how shocked I was when I called an agency and they asked what nationality we preferred since the fees were different for different nationalities! (I couldn’t get off the phone fast enough). 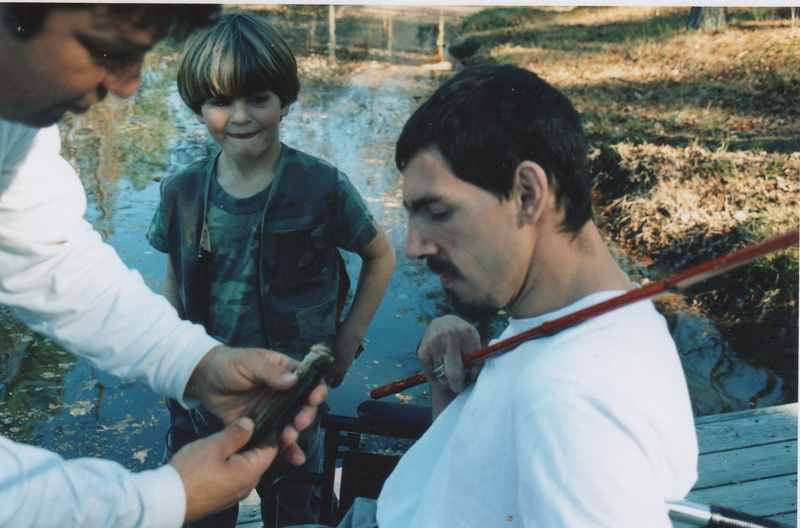 I also realized that right away we would need to get life insurance- it was the one issue that came up over and over when I mentioned Barton’s disability. We spent two years working on getting life insurance for Barton (being qualified wasn’t the issue, but it was the research that took so long). And now, we’re working on the financial end- our least favorite part because if it was up to us, we would have already started the process. The reality is adoption is incredibly expensive, and we have been in a recession with multiple contract changes. And of course if we wait, I am worried that age will at some point be a factor for me. It was important that each of us be respectful about where the other one was in the process. 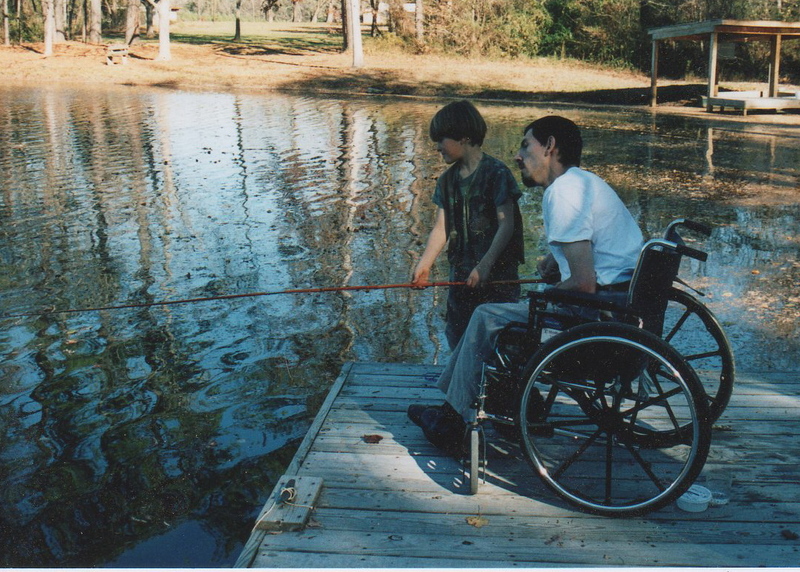 Now we have come to the place where we both would love to have children and begin the process immediately, but we are working on the list to make sure we go through the home-study without major hurdles to Barton’s disability. The truth is- we don’t know what will happen, but we are being open to all of the possibilities. November is National Adoption month, and this month, we’ll be writing about different aspects about adoption. Why is this important? 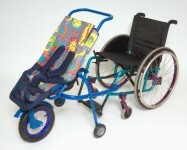 It’s one of our long-term dreams and visions, yet we’re in the process of assessing and overcoming different challenges to move forward, which include a more stable economy, creating a solid support network and the ability to obtain accessibility equipment Barton will need to parent a child. We all have long-term dreams in our lives, and there are times when we have more challenges or obstacles to climb over to succeed. Barton and I use writing and coaching to work towards our long-term goals. Creative expression or writing allows the space to dream, imagine and play. Using a coach as a resource, we are also given ways to break through our own limiting beliefs preventing us from getting to where we need. How can you work on your long-term dreams and goals? • Allow yourself to dream. • Reminders are important. Whether it’s a vision board or quote notes, surround yourself with reminders of your goals and dreams. • The “P” word- perseverance. • Create a support system or find a mentor to cheer you on, create accountability systems and help you overcome obstacles. • This week, challenge yourself to take one action item toward a long-term dream. Adoption itself is a long process; it may be several years before we’re able to bring a child in our home. But believing and working toward our dream gives us something to look forward to! $10 at the door. More info call 919-389-6423. The Chris Hendricks Band, which will be headlining the event has gained growing acclaim as they have opened for Amy Grant tour dates over the summer, are finalists for Deep South’s Battle of the Bands and whose songs are being played during Raleigh Hurricane Hockey Games for the 2011-2012 season. To check out their music, visit www.chrishendricksmusic.com. Please note that this is a personal fundraising event and for that reason, contributions cannot be deducted for tax purposes. Even before Barton and I were married, we had dreams of having children. We talked about it often, even named them. When we found out that we would not be able to have children naturally, the way we had envisioned, we both took it really hard and grieved in different ways. Once we began to talk about different options that we were or were not considering, we were met with the long list of questions and opinions from others, family, friends. In each one, there was a sense of concern, shame and failure. Compounding this sense of failure was that we were faced with questions of how we would manage with time, energy, financially, and support. Nearly every one of my friends were pregnant, but we were being told that we should not have a family because we would not be able to manage with Barton’s disability. Instead of looking at the missing pieces to find strategies on where & how fill in the holes, I did the worst thing I could have done- I believed them. I completely shut down, and so did Barton. I threw myself into trying to be it all in everything else – in my work, getting Barton up in the morning, getting home very late at night, housework. Once Barton even told me he never wanted to be a father, completely denying the dreams we shared together when we first met. Recently, I have found a small contingent of women who have been through similar experiences or conceived using other techniques. Whether it was through medical technology or adoption, many stories began to seep out. It wasn’t until I began meeting other women who shared these experiences that I stopped believing in the illusions that surrounded the beliefs about our own family. Yesterday, I had lunch with a mother of two, and we talked about our paths. Afterwards, I realized how deep the sense of shame and failure had been, how detrimental it had been to cut myself off. How different and free I felt to even speak about our dreams, our visions, our challenges. I could ask the questions I was afraid to ask others because I knew the response I would get. I found myself believing again, and dreaming again. Barton & I don’t know when or how it will work out. Whether we are successful at creating a family through medical advances, adoption, foster care or even in volunteering at a school or daycare. Slowly, we are shedding the shame and failure to find the vision and love we once had, and how important expanding our family is, to both of us. Barton and Megan on their 2nd Anniversary. I don’t know about you, but as small business owners, we are both determined, adventurous and persistent. We tend to take it all on, and do it ourselves. But at what point does doing it ourselves limit us from reaching our goals? It’s taken us a while, and we’re still learning how to ask for help. It’s no secret that we want to have a child, and in order to provide the best care that we can, we will need some additional support. 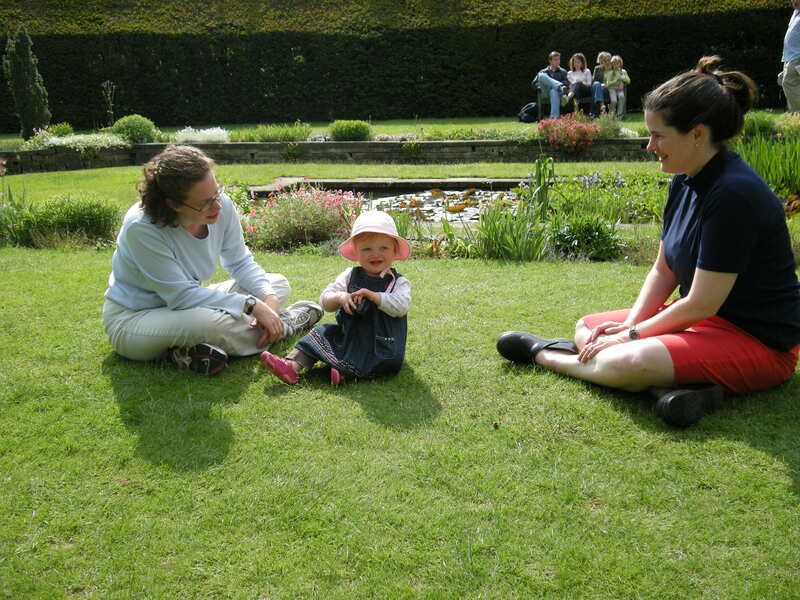 It took time for us to process and decide which avenues we should pursue in having a child. 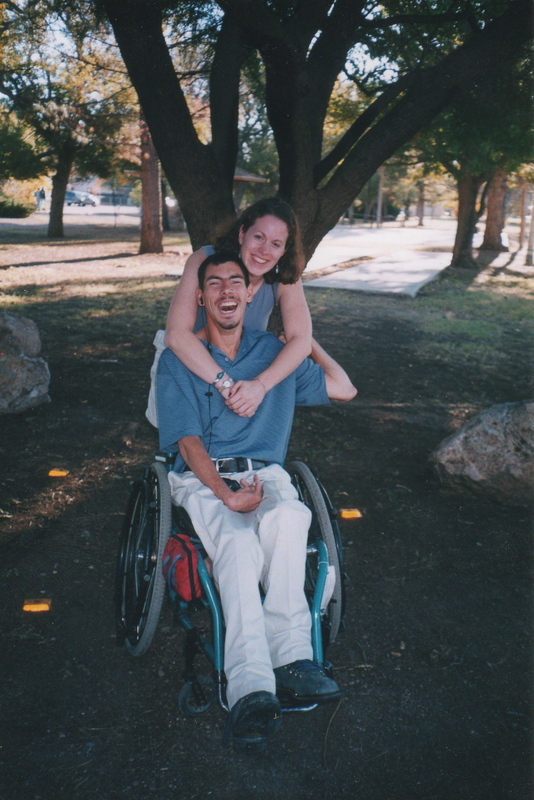 In addition, we wanted to make sure that as an inter-ability couple, we would have the tools necessary for us to be able to raise a child to the best of our ability. We spent almost a year trying to figure out how to find the support in a way that reflected both of our values. We thought about taking all of it on ourselves, but realized this would not give us results. When a few fundraising opportunities didn’t work out, we started to look at our values, and how we could best include them in meeting our goals. Community is the focus of our vision. It is very important to us to support our community, and more than once we have needed our neighbors’help. 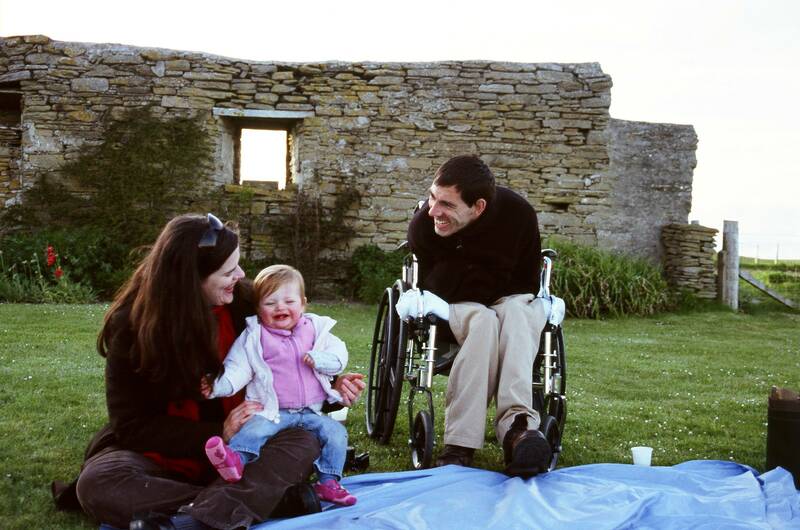 The type of resources we are raising funds for include an accessible vehicle, additional assistance for both Megan and Barton, assistive technology devices for Barton such as a baby carrier that attaches to a wheelchair. It’s really important for us to provide an exchange, so over the next year, we’ll be doing a couple of community fundraisers. The first one is for the holidays. We are selling Christmas cards (Megan’s photography and Barton’s haiku) and selling key lime pies (for the Triangle Area). Check out how you can become involved at http://cuttersword.com/holiday-cards-and-more.html. Check back for more community events throughout the year!